Although millennials are the first fully connected generation, having lived their whole lives in the Internet era, new research suggests that they're beginning to recognize that their identity and personal data may not be properly protected. Digital identity specialist Intercede surveyed around 2,000 16-35 year-olds in the US and UK to get their views on current security measures. The results suggest what the company calls a 'millennial malaise' towards existing safeguards, in particular the use of easily-hackable but widely used password-based authentication methods. A quarter of the millennials questioned access more than 20 password protected websites, applications or devices over the course of a year, with 45 percent claiming they only ever change passwords when they have to. Only six percent believe their data is completely secure based on the password policy they apply. When asked about the impact of an increasingly digitally-connected world, such as the increased use of mobile devices and tablets on their digital privacy, nearly 70 percent of millennials believe the risk to their online safety will increase -- with 31 percent believing this increase will be dramatic. More worrying is that 54 percent feel the failure of companies and governments to adequately protect identities and data will result in public distrust of their goods and services. A further 44 percent believe there will be an eventual decline in data sharing and 36 percent predicted demands for action. Smaller but still significant percentages of the research group say there is even potential for a decline in economic or political stability. "It's time for organizations to stop playing fast and loose with what, in a digital economy, are our most important assets -- our identity and our data," says Intercede CEO Richard Parris. "There seems to have been a collective consensus that millennials will accept sub-standard security in exchange for online services. This clearly isn't the case. The humble password should be consigned to the dusty digital archives where it belongs. 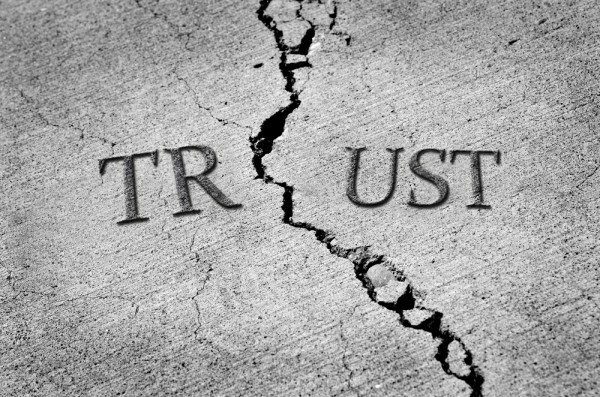 To restore trust, smart companies need to look to stronger authentication techniques to ensure the future of digital commerce and information exchange and their own competitive edge". Growing levels of distrust may partly be down to adverse publicity as news of high-profile breaches means people are more aware of the risks. But Parris points out, "Trust is hard to win and easy to lose. There is a tipping point coming soon where the consequences of doing nothing could be severe, yet the technology to resolve trust issues already exists, service providers just need the vision to use it".